What’s the challenge all about? The Crochet Stitch Challenge Game is YOUR chance to make US jump through design hoops! All you have to do is upload and vote on your favourite stitch patterns. When voting closes, we will have just 4 weeks to use the winning stitch in a pattern we design! Taking part are Tammy from Thomasina Cummings Designs (that’s me), Samantha from Silver Dragon Crafts and Critters and Crystal from Crystalized Designs. 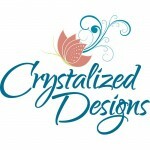 Crystal designs and writes the most gorgeous crochet patterns full of colour, texture and style. She has a fantastic array of patterns in her Ravelry Store, including hats, baby props and accessories. Her soon-to-be-released Radiant Tee places her firmly into the category of amazing adult clothing designer too. Everyone who uploads a stitch to the gallery and votes will receive a copy of the pattern(s) via email, when fully tested and released, of course. So, we’re up for the crochet challenge…are you ready to challenge us?!? Add your links and place your votes below. 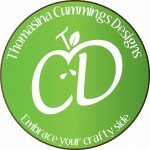 PS Make sure the link goes to the right page and that your email is correct so we can send you your pattern(s). Link up opens 27th June 2014. Voting opens 29th June 2014. We’ll announce when you place your votes on Facebook so keep an eye on our pages. Winning stitches will be announced on the 1st July 2014. 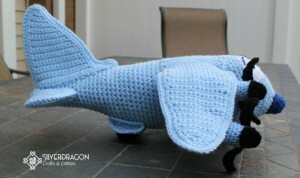 This entry was posted in Crochet on June 22, 2014 by Thomasina Cummings.